RUSH: Here’s Joe in Toms River, New Jersey. Great to have you on the EIB Network. Hello. RUSH: Great to have you here. Thank you. 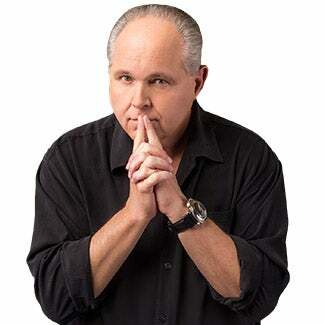 CALLER: Rush, I’m listening to you and it’s very interesting because here in New Jersey when we are called to a case of alleged domestic violence and domestic violence is clear, we are required to ask the victim if there are any firearms present, and if they are, we must confiscate them. No warrant, no judge, and they can’t get them back for 10 days until a court hearing. We do this every day. So what’s the big deal? I’m not saying it’s right or wrong. Just stating facts. RUSH: Well, but you’ve got domestic violence going on at the time, there’s a reason you’re there. What these guys are advocating — do you think that — let’s use Nikolas Cruz. With all of these warnings and all of the tips, do you think that law enforcement should have been able to go in there and confiscate his guns without going a courts and getting an order first? CALLER: That’s a little over my pay grade. But, Rush, when I’m talking about domestic violence, when we’re called there, if there’s no sign of domestic violence, and let’s say it’s the woman who called and she just says she’s afraid because her husband has guns in the house, those guns are gone. We don’t make those decisions. We can’t. It’s the law. It’s not really a big jump to what Trump said. There’s no facts — there’s no proof. In other words, we can go there with no sign of domestic violence whatsoever. Maybe they had a verbal argument. RUSH: Okay. Look, I have to go. But Mr. Snerdley has a question for you so don’t hang up. Be right back, folks. Don’t go away. RUSH: Okay. I didn’t have time to ask the caller, but our law enforcement, retired law enforcement caller who just hung up was calling in support of Trump’s proposal to seize the guns and go to court later. A Trump voter, and I wanted to make sure that I was understanding him correctly, and of course I was. RUSH: This is Jerry in Santa Ynez, California. Welcome, sir. Great to have you. CALLER: Oh, thank you, Rush. Thank you so much for taking my call. I have been listening to you since 1989. RUSH: Wow. You’re a lifer. I appreciate that. Thank you. CALLER: Absolutely. Rush, I just wanted to maybe put a little bit of clarification out there about due process and the warrantless seizure of weapons from somebody who’s mentally ill. I think that it could be done under a situation where you have probable cause. If you have somebody who’s mentally ill, like Cruz was obviously mentally ill, and he demonstrates that he’s a threat, which he did, he clearly did, and certainly law enforcement should have acted on what happened before he had an opportunity to sadly kill all of those students at the school. But if you have a mentally ill person and they’re making threats, if you have probable cause, I think you could go in and seize the weapons and then, just like the police arrest people every single day, incarcerate ’em. You know, under the Fourth Amendment, you can arrest somebody, you can throw ’em in jail and incarcerate them prior to getting a court order to do that. So I think you could do that, as long as you had a court hearing probably, you know, within 48 hours. RUSH: Well, I understand that. In the real world I know it’s done on some occasions. We had a retired cop from New Jersey saying this already happens, it isn’t any big deal out there. Why is everybody going so crazy? He was in total support of what the president was saying because he believes the president is still pure and all the president meant was we have an obvious powder keg, go take away the gun and deal with the niceties later, but save people’s lives. He was I think reacting specifically to Nikolas Cruz and 66 warnings and other indications that were ignored. Now, they weren’t ignored, by the way, because of the legal system. They were ignored because of an Obama administration thing called the PROMISE Program. But regardless, they were ignored. There were common-sense indications that something could have been done. Maybe even short of taking away the guy’s weapons, commit him, put him in a 48-hour hold for observation or some such thing. But none of it was done. And in the immediate aftermath of this, with the emotions running hot, the president says this is a slam dunk, just take the gun. The problem that people have is: Yeah, fine and dandy this time, but now he have a precedent, and now we have a precedent where due process gets shoved to the back of the line and what happens when we set this precedent and we get a genuine bad actor president or bad actor Department of Justice who then wants to start taking away a lot of people’s guns, under some premise that they say is legit and then get to the due process later. It’s always what the precedent set that has people upset. CALLER: Well, and I completely understand that, and you and I both know that President Trump doesn’t always say things either in the best way they could be said or accurately. And that’s because he’s not a lawyer, not a politician, and got bless him for that. That being said, you know, the point that I’m trying to make, and just so that you understand, I’m a lifetime member of the NRA, I’m a firm believer in the Second Amendment, I agree with you a 100% that the agenda of the Democrat Party is to eventually get rid of private gun ownership in this country. And I understand that. RUSH: Look. There are people that think I’m dangerous just because of what I say. RUSH: No, no! May sound funny. You give the wrong people the power to define who’s dangerous. This is the problem with it. If everybody used common sense in circumstances like this, then it would be a little easier. But we know how poisoned our political culture, hell, even our social culture has become. And look at YouTube and Google — well, same thing. They’re already banning conservative video channels. They’re banning conservatives. Now, I have some thoughts on this, by the way, but they’re just doing it indiscriminately claiming that it was an error, that they didn’t know, that they’re gonna reinstate it and so forth. But left to their own devices, this is what the left would do. RUSH: There you go! Clinton blamed me for the Oklahoma City bombing. CALLER: I know. I know. And so I understand all of that and I understand we’re in a very dangerous time in our country right now, you know, as you and most of your listeners recognize because conservative thought and speech is being either labeled as dangerous or completely eliminated from websites et cetera. RUSH: Okay. I understand. Look, I appreciate your enunciation of your qualifications and your education level here to be agreeing with certain aspects of policy. I get all of that. And I think in fact that’s what the president probably meant. It’s process or the snowball that’s created by that that has some people concerned. But, anyway, I’m out of time, so I’ll have to continue this with you a little bit later, but I appreciate the call, and I appreciate you’ve been out there 29 years. RUSH: We’ll go to Macon, Georgia. Jack, I’m glad you waited. You’re next. It’s great to have you here. Hi. RUSH: Wait, wait, wait wuh wuh wuh wuh wuh. Seventy percent of Americans want gun control? CALLER: Want more gun control, was the last statistic. I think I heard you say several days ago. 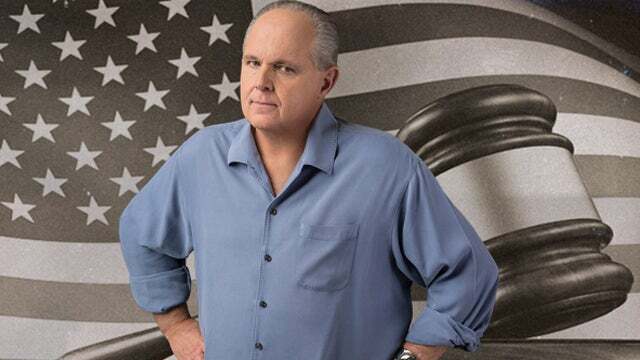 RUSH: And Trump is gonna give it to ’em? CALLER: I think he’s playing at their game. He’s saying what he needs to say to placate people. I don’t think he necessarily meant that he wanted to confiscate guns before some kind of official hearing. But then they stop thinking about it and when no gun control of any significance happens, nobody really knows, and Trump once again has brilliantly defeated the Democrats. I don’t know why I didn’t see that. Thank God for callers. Some days they save the show. There’s no question about it.